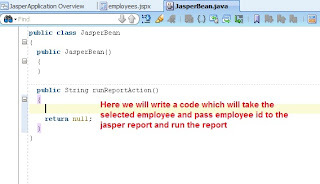 In my previous post http://sameh-nassar.blogspot.com/2009/10/using-jasper-reports-with-jdeveloper.html I explain how to use Jasper Report but because of many people send me many requests for explain this topic in more detail so I will explain it in step by step. 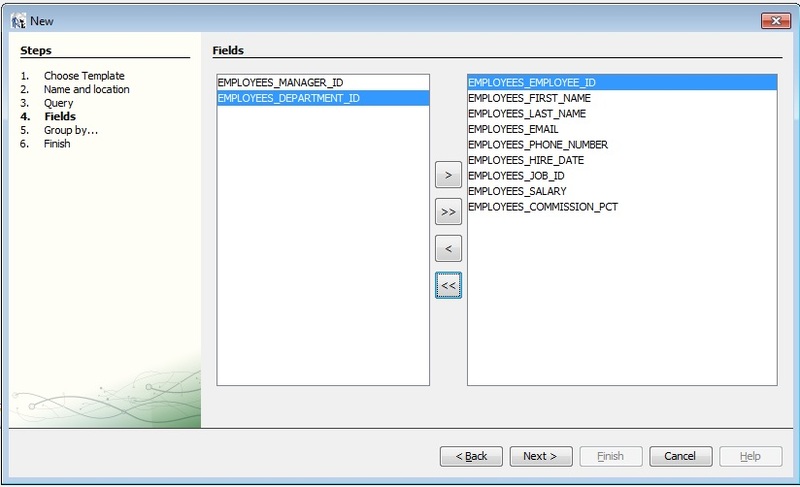 our example will make application with one screen this screen has a table of employees you should select an employee and send the selected employee id to jasper report to print the selected employee data. 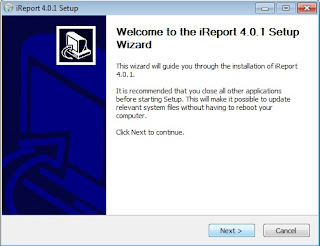 1- You download iReport-4.0.1 (you can get it from http://sourceforge.net/projects/ireport/files/iReport/iReport-4.0.1/) I download iReport-4.0.1-windows-installer.exe. 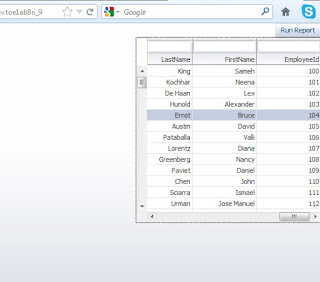 2- You have database has hr schema. 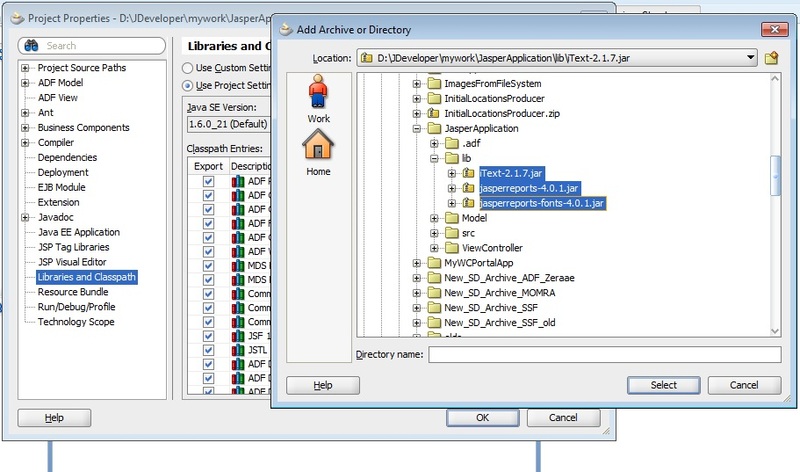 3- Setup JDeveloper 11g (any release). 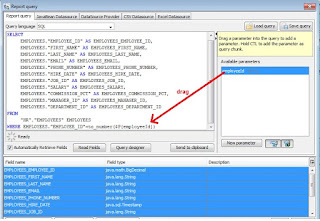 where EmployeesView1Iterator is the iterator name in the page definition and EmployeeId is the attribute name in the EmployeesView. 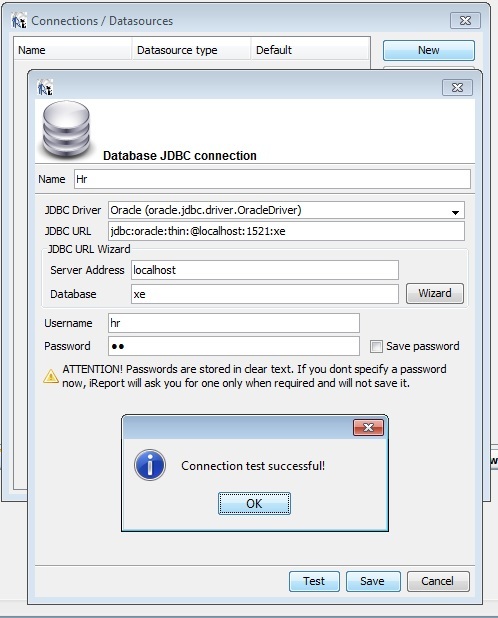 Now depending on my previous code we should make a report the name of this report should be "empReport" and has one parameter "employeeId"
Open iReport and make a connection to hr database but first ..... iReport has not oracle database driver so you use oracle database you should first add a ojdbc jar file to the classpath of iReport. Choose any template or make it blank then press "Launch Report Wizard"
Then press next then finish. You will find you report generated. 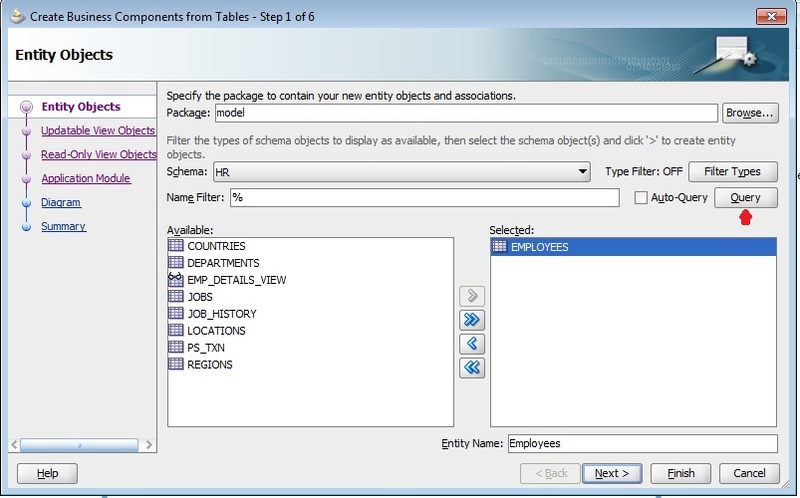 and make new Parameter "employeeId"
2- You should define datasource in your weblogic "as we write in the code datasource is hrDS"
where "f1" is the af:form id. Very Nice and easy to understand. thanks for sharing such a nice content. Thanks Muhammad you are welcome. can you please tell me that I want to develop an Oracle based large scale web application and want to use some reporting it it. 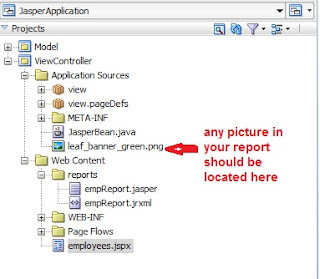 Jasper reporting tool is appropriate for the said reporting? 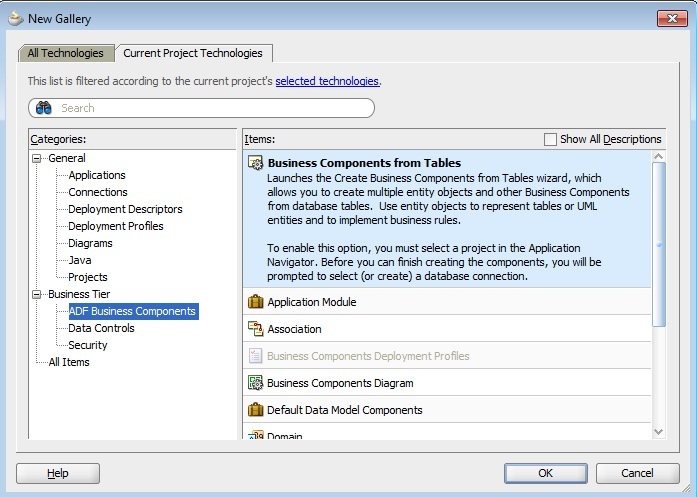 I mean, the features grouping, controls etc (like we use in .Net Crystal Report) are available? 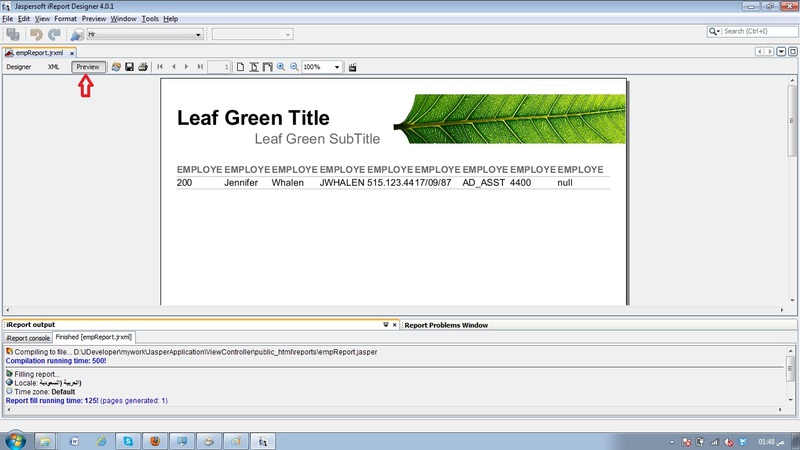 I don't work with Crystal Report before but Jasper has grouping, controls, graphs, calling java methods feature and sub-report. We make very large scale applications with complex report using jasper. 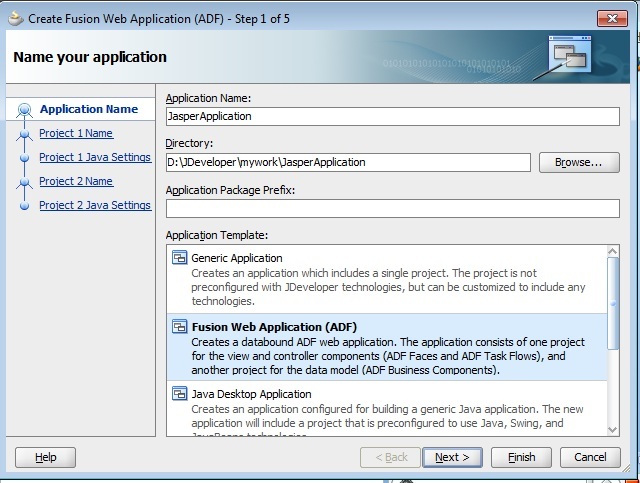 The idea is that you can decouple any report framework from the ADF application. The last thing you want to do is couple Oracle Reports, JasperReports, BIRT, or CrystalReports to your application when you don’t need to. 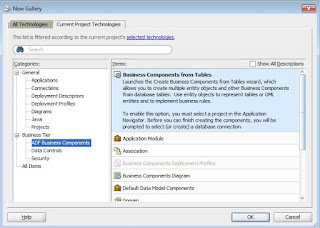 The Report Integration Framework provides a pluggable system where you can swap out one report engine for another, and not one line of code in the ADF application needs to change. 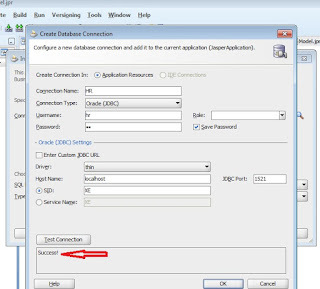 this is not an issue, you should define data source in your weblogic with JNDI name hrDS. 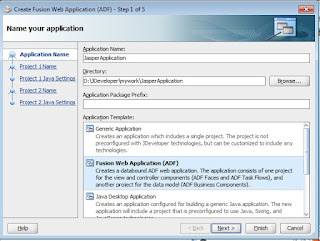 If you run your application in jdeveloper so you should define data source in integrated weblogic. you can connect to the weblogic console like(http://localhost:7101/console) and enter weblogic username and password like(weblogic/weblogic1) and from services menu define generic data sourse with name hrDS. 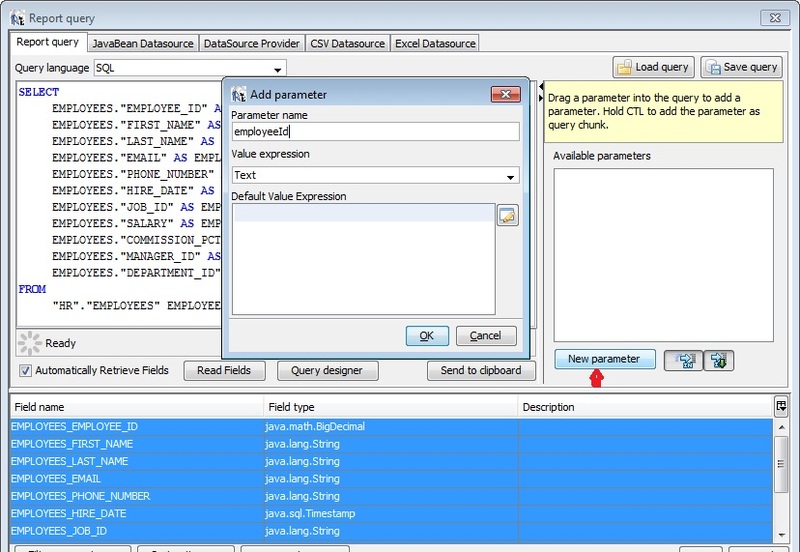 Wao great link and perfect guidelines :) @Samah Nassar sir, I have done it completely it works very well ... but I also tried to generate the jasper report by a view which is based of the Parametrized view but it is not working there ....Any suggestion please ? 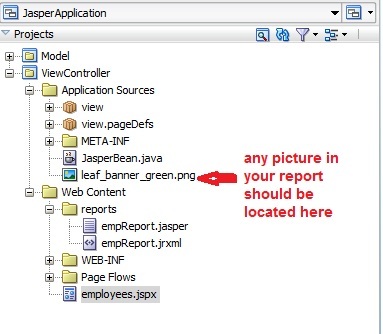 I do understanding what is the meaning of generate the jasper report by a view?? Jasper report should hold the query internally this view may has a parameter and you can pass this parameter as I explain in this example. 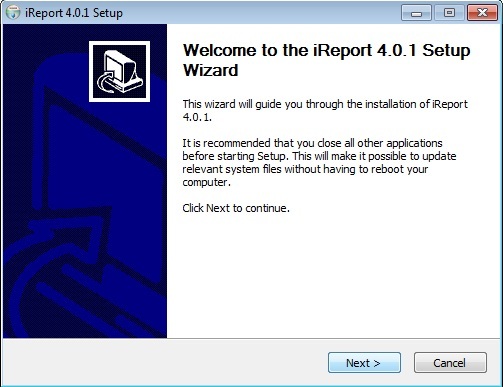 Check the version of ireport which you are use and the libraries you use in your application. 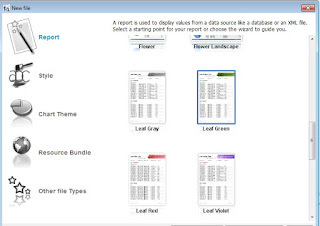 Try to use the same version of ireport and the libraries in my example. Please help me with this step. 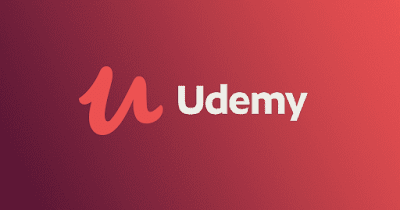 Can you upload a step-by-step tutorial for this step? 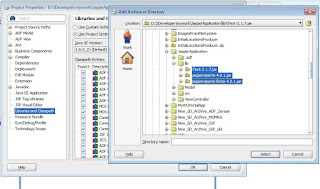 Is it possible to download the pdf to the users OS (maybe using fileDownloadActionListener) as a file or open the pdf in a new browser tab or window and keep the current view of the jspx page? hey Sameh , hope to get replay on my question here ? 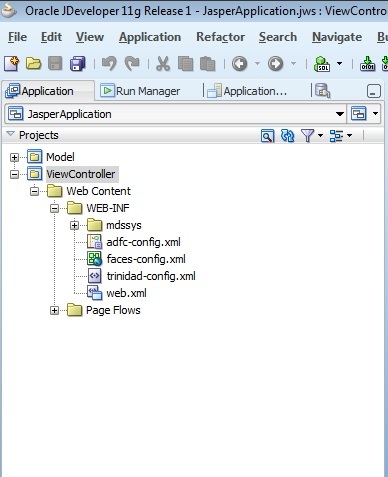 I wanted to open Jasper Report as PDF on new web browser window , so I did your solution above , it works fine , but! the command button turned into disabled after click it , i am sure i am using your servlet , your work around for new Window , do you have any idea ?? 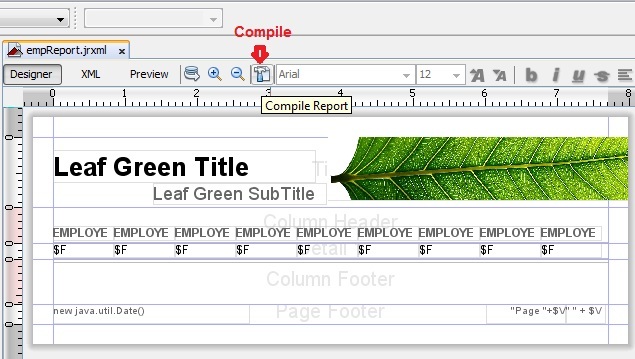 I need to open pdf report in new window too. But i could not use your solution . May you explain me more ? 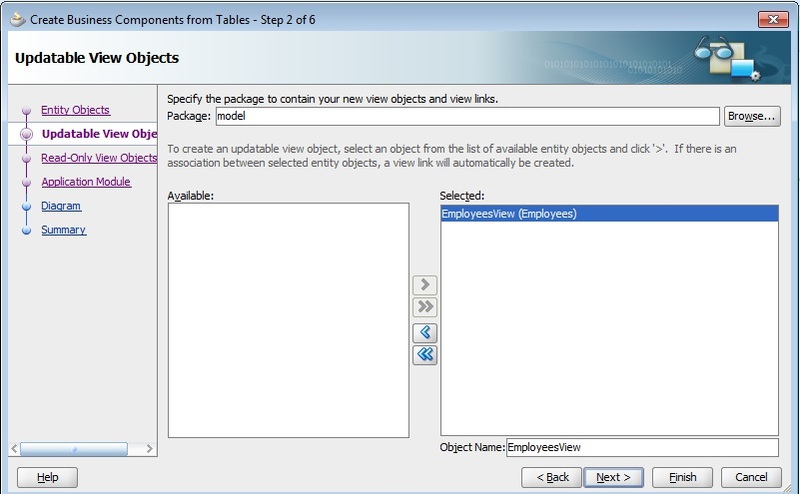 1- where can i write function newWindow() and how ? 2- what is "f1" in this line document.getElementById("f1").target ? Thank you so much...Nicely explained. The server understood the request, but is refusing to fulfill it. Authorization will not help and the request SHOULD NOT be repeated. If the request method was not HEAD and the server wishes to make public why the request has not been fulfilled, it SHOULD describe the reason for the refusal in the entity. This status code is commonly used when the server does not wish to reveal exactly why the request has been refused, or when no other response is applicable." I try your scenario put it work without error. You can send your code in my email to check it. I tried it. But the program is not running as I am clicking on the print button I haven't got any response fro it. I follow all the steps and i am not getting any error also. Can you help me for it. Are you download my application and it is not running? 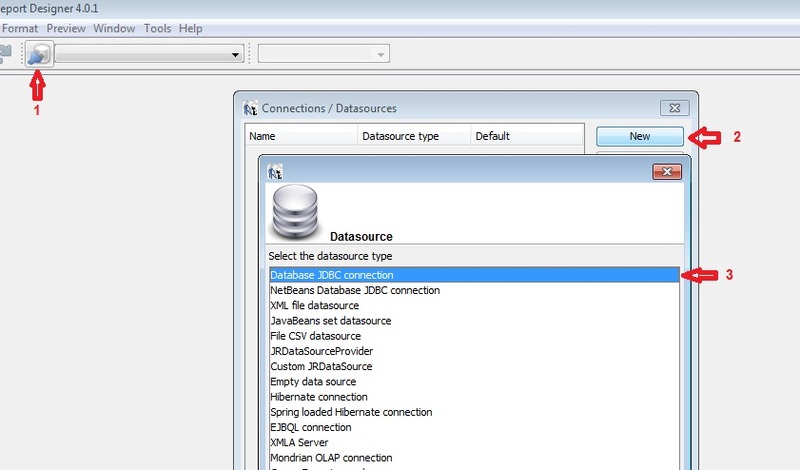 are you sure that you make data source in weblogic? Thank you for such a nice example. 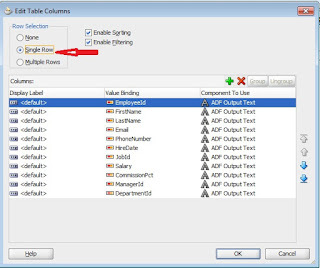 I just want to know.How I can put my whole table data using this example. What do you mean with whole table? 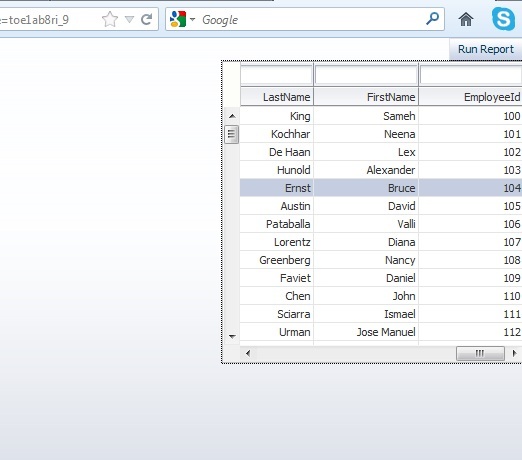 do you mean you want to display all rows of employees in table? 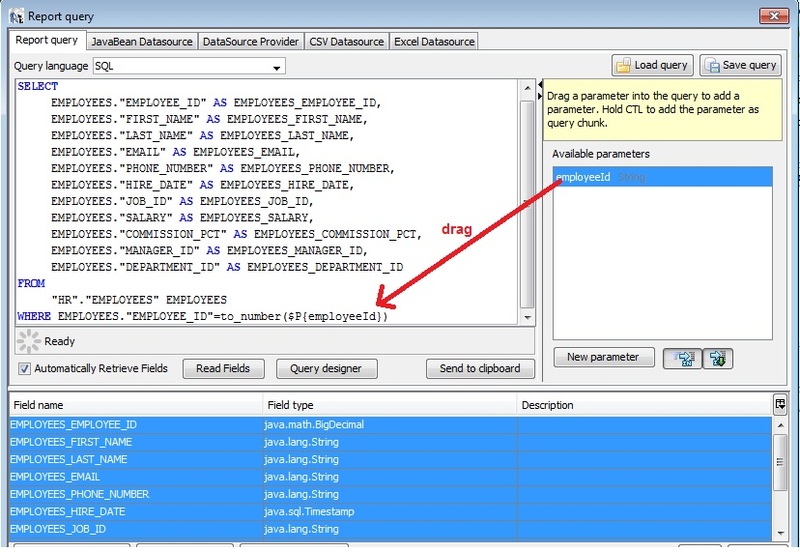 if that you can send no parameters and in the jasper report query remove the where clause it will display all rows. مايميزك عن القية أنك تشرح بالتفصيل وتذكر كل شيء حتى التفاصيل البديهية. لذلك تستطيع ايصال المعلومة للقارء بشكل سلس. 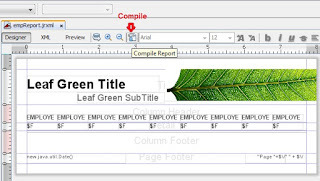 I have arabic word (field of query) in my report I can see them in report of ireport but when I run my application , the arabic words aren't shown in pdf on browser . Thanks a lot , it works. very nice...quite informative..!!! !..keep posting like this blog..!!!! For set up all things to work for me i had to change two things. 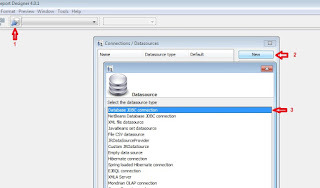 1. getConnection - there is no need to define data JNDI source on WLS. 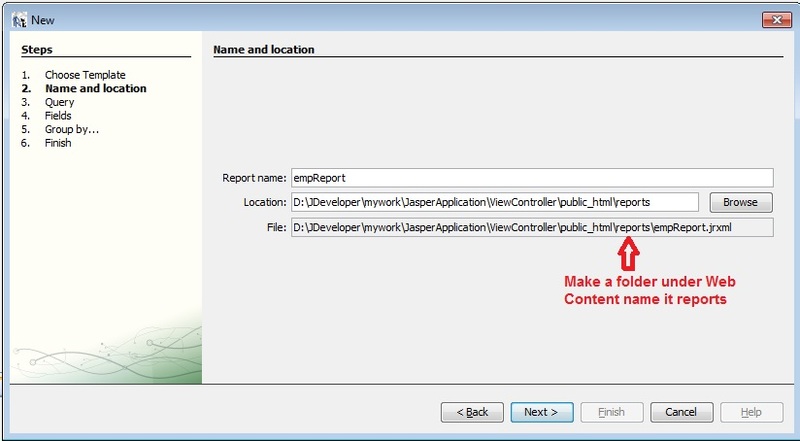 what do i write in ireport for any images in ireport evevn it workd? I write "my_img.jpg" but in adf it has error . I have followed all the process as you told. Bur find the following error kindly help me. 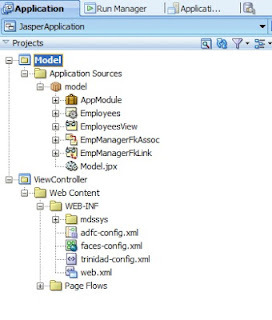 Thanks for nice article, It was really helpful to get started with basic of Jasper and its integration with ADF. I've followed the demo application and it works perfectly fine for me. However when I implemented the same thing in my application it works for first time only. 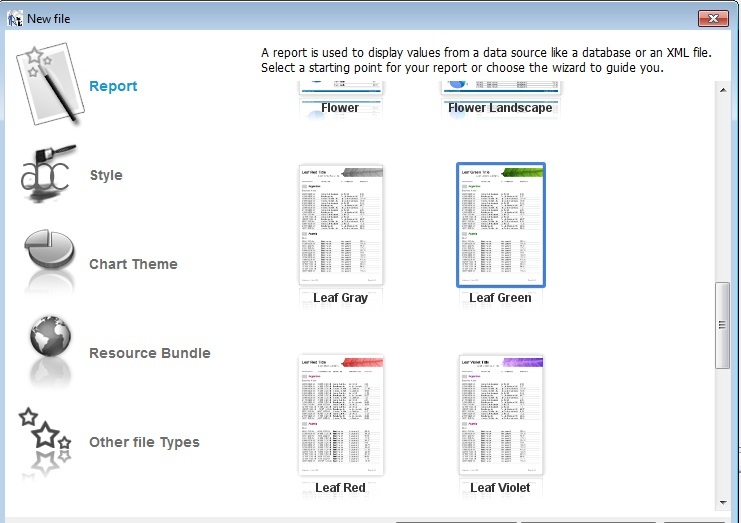 I mean when I click on button to download reports, it works fine. But then it gives the Processing cursor when I bring mouse on the button. Although it has been over 2 years since you originally posted this article, it has helped me tremendously. Thank you for taking the time to write this post, and also answer the questions posted by others. I followed your post and got succeeded with calling single report from application but when i call a report that has sub reports in it it gives me the error. 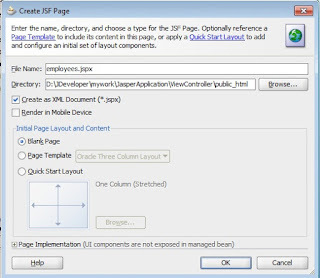 How can I use following js function inside .jsff page fragment part of taskflow which is rendered as region in jsf page.because there is no af:form in the fragment. First of all thank you for the nice post. 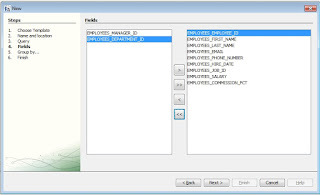 Well, I have a question regarding this post is can I select more than one employee and display their data in table. Yes you can. 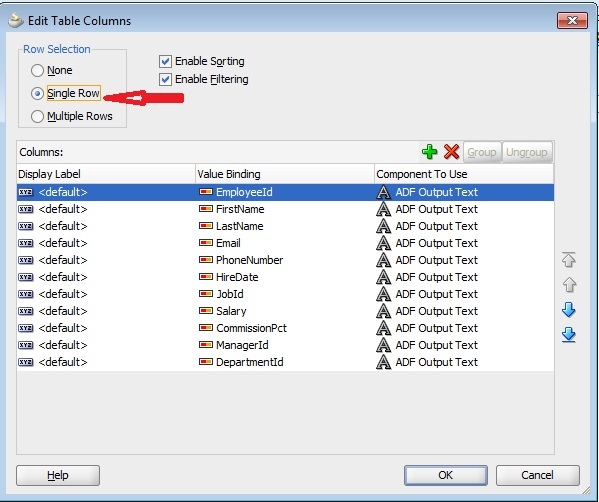 Simply you can select multiple rows from the table and create string as String where= emp_id in (10,20,40); (where 10, 20, 40 is the selected employees id) and send this where as a parameter to the jasper report. Thank you very much Sameh!! Check the server log and see what is the exception, this error is generic you should see the server log to know where this exception happen. Thanks for the post it's really helpful. 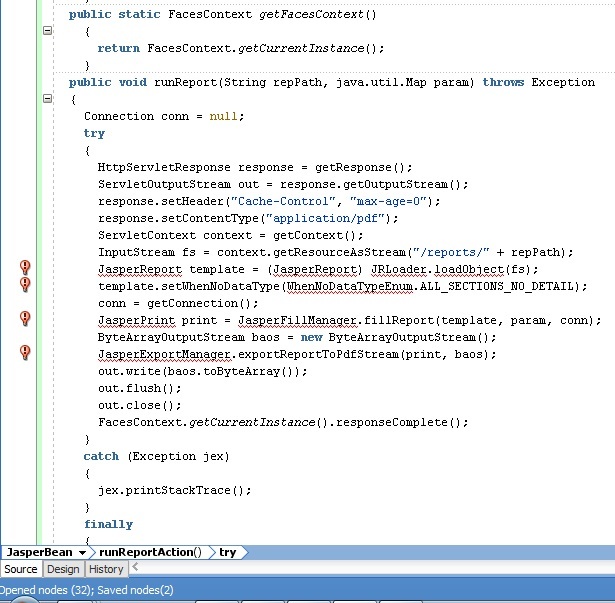 My code is stuck on one one thing when i am using commandbutton it works and i can see the report but when i use button as commandbutton is deprecated clicking Run Report just refreshes the page i don't get any error messages although i can see in the code that pdf is generated but not sure why its not displayed and what should i do if i would like to use button in place of commandbutton. 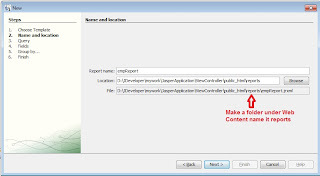 Try to set button partialSubmit="false"
hi samesh i tried this application, but when i am click the button "Run Report" it is in same page only. Please can u help me. After deploying my log file looks like..
Did you resolv the problem? i have the same, please Help! 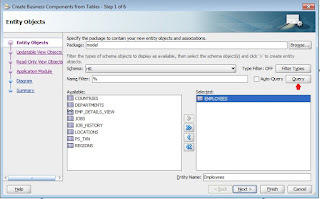 I acted according to the instructions of your blog "Using Jasper Report In ADF Application (Step-by-Step)", but when you do everything right when I select any record from the table that opens and press the Run button repot, not otavra is no report nor shows no error. Please if you have any idea where it might be a mistake to me pomogmen. 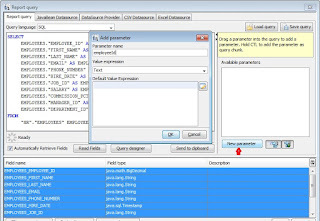 If you use normal page .jspx or .jsf be sure that the button partailSubmit set to "false"
I want to run report with more than one parameters, I've tried various things in my bean but couldn't do so, any suggestion please? Thank you very much for the valuable post! But I have a question regarding this post, in this post you are talking about integrated server what if I have reports on Standalone server?? 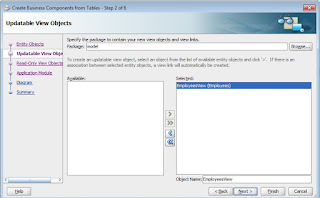 how I can access those reports. I have tried the example above with the following codes below.. however the report is not being displayed on the browser. the browser page simply refreshes on itself. Any idea what could be wrong please? - Any error appear in the log? 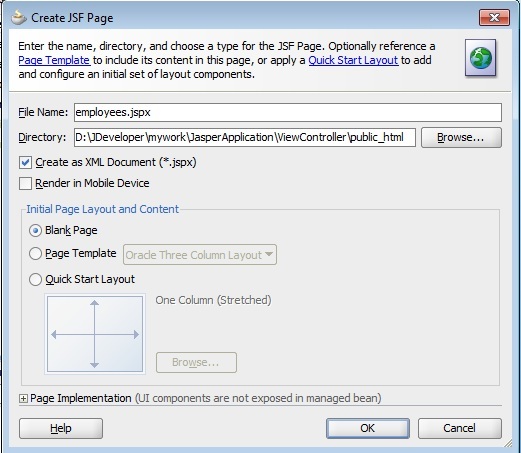 - Are you run in normal page or page fragment(.jsff)? - Is in 11g or 12c application? - Did you try to download my application and run it? is it running successfully? 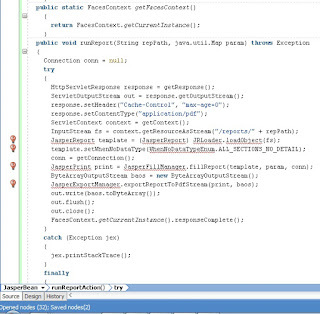 - Is button's (which you press on it to run the report) partialSubmit="false"?